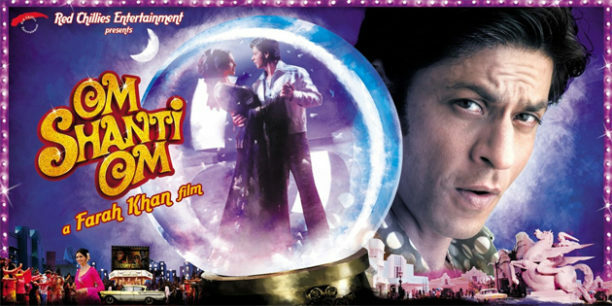 It has been 10 years since Farah Khan’s brilliant film Om Shanti Om hit the big screen. Filled with incredible performances by Shah Rukh Khan, Arjun Rampal, Shreyas Talpade, Kirron Kher and Deepika Padukone in her first film, Om Shanti Om is a musical full of drama, action, comedy, and of course romance. Everything that makes a movie good! 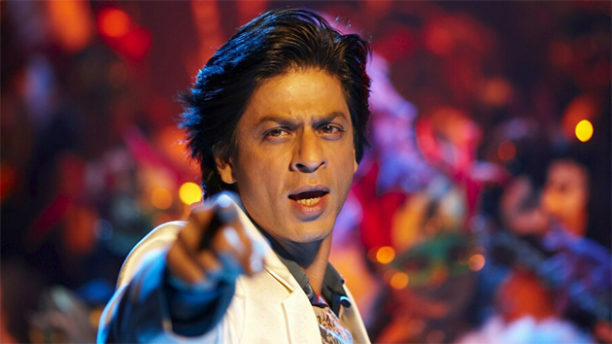 To bring the musical sound of Om Shanti Om to life, Farah Khan chose the great duo Vishal-Shekhar with lyrics by Javed Akhtar. The soundtrack ranges from love songs, to a classic filmy tune, some disco, a haunting, poignant theme, a party song and an epic full on musical number – it truly is a soundtrack in the best of forms. In an incredible and in-depth conversation Vishal Dadlani takes us inside the creation of the songs of Om Shanti Om. What do you remember was your first thought when you heard the story of Om Shanti Om? The story of the music of Om Shanti Om is actually pretty incredible. Right after Main Hoon Na, we started doing her [Farah Khan] jingles. She was doing a lot of advertising work then. If I remember correctly, the first one we did was on a track for Sprite or 7Up or something like that. Then we did all her ad films. One day we were working in our studio on one of her ads and she looks at me and says, ‘Are you going to do my film or what?’ I was like ‘Huh? What do you mean?’ She just looked at me and said this out of the blue. I said, ‘Yes of course, but you have to ask us to do your film right? That is how it works. I can’t just come up to you and say I am doing your film’. And she said, ‘Okay. Fine, but you are doing it’. ‘Okay then…’ It was pretty mind-blowing. It was the biggest project we had been involved in until then. Even though we had done some fairly large films in 2004-2005 it was nothing on this scale. 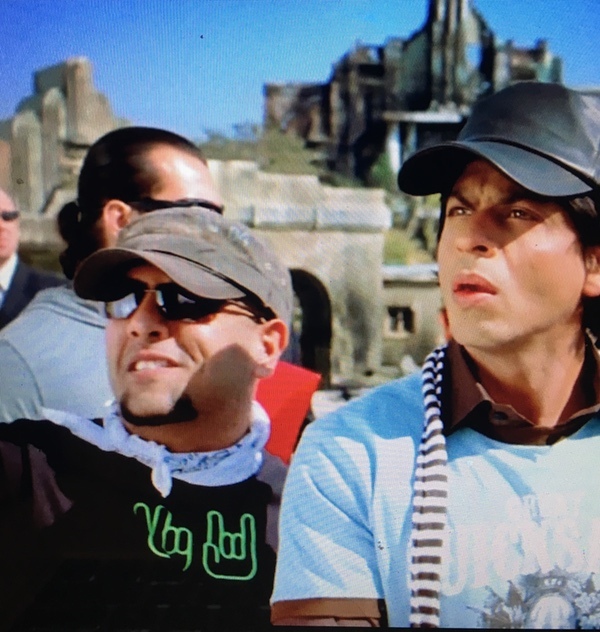 I mean it was Shah Rukh, it was Farah, it was everything one dreams of, you know… that we will be doing films like this someday. Om Shanti Om was the first such. If I tell you about the process and how the songs came about you really would not believe it! After we had the conversation where she said we were doing her film, I think a week or two later she showed up at the studio and read us the script. Once that happened, we told her give us a couple days and we will write some ideas. When she came back in a week, we had 16 melodies that we played for her on the first day. This is when we realized how much fun it is to work with Farah because she finalised four of them. They were locked and loaded on the FIRST DAY! It was the ‘Om Shanti Om theme’, ‘Dhoom Taana’, ‘Main Agar Kahoon’ and ‘ Dard – E – Disco’. Those four of the songs were locked on day one! ‘Dard – E – Disco’ has an amazing and unique story all to itself. ‘Dard – E – Disco’ actually came from a conversation that Farah, Shekhar and I had at Sonu Nigam’s house – easily a year or two years before Om Shanti Om. We were talking about this record label owner in Bombay, who told us, Shekhar and me, only two kinds of songs work in Bollywood. Either dard waale gaane, (songs of pain), or disco waale gaane (songs that you can play in the club). We were telling Farah with a great sense of amusement that this is what we got told today. She said, ‘That is awesome! We should put them together and make a song called Dard – E – Disco’. And she said this like a year or two before Om Shanti Om. When she walked in on the first day and she read us the script, she said this is where my love song is, this is where this is, this is where that is, and of course we are going to do a song called ‘Dard – E – Disco’. We couldn’t believe that she remembered that. When she came in that first day we had the melody of ‘Dard – E – Disco’. Shekhar and I, we had a really tiny studio back then and I remember we were sitting outside on the steps with the guitar and singing it to Farah and she said, ‘Yes! This is done. It is locked and loaded!’ We were like that is incredible. Day 1 we had those four songs. That was most of the soundtrack. Just an incredible experience. Tell us about creating the classic sound of ‘Dhoom Taana’. It was mind-blowing. So there are 225 musicians on that song. Except for one eight bar section of shakers there is not one electronic note on it. Everything else was live. It was a learning experience from the word go. It must have been incredible record that! It took seven days and like I said 225 musicians. It was just incredible. So there were various points of discussion during the conceptualization of that song. All the great theatrical story telling examples that you can come up with we discussed, as well as operas and arias – all of that. It was born from all of those. But it is the Karz title track and Phantom of the Opera that stood out as the definite benchmarks that we set for ourselves in composing this tune. In the various movements that the song has, in the orchestral nature of it and how it changes toward the end and gets darker and more intense – all of that comes from musical theater as well as the title track of Karz. When you are composing a soft melody like ‘Main Agar Kahoon’ or ‘Ajab Si’, how do you develop the soft lyrical melodies and what do you take in to get into, I guess, the love-romantic space? You just have to feel it. Every time you write a song for a film, you just put yourself in that place and feel the emotion and the song shows up. I love how the Om Shanti Om theme weaves itself into many songs and many scenes, tell us about creating that. Well, initially she asked us to create a theme and like I said on day one she loved it. Then Farah was telling us okay the theme needs to go into all the songs. For example, this shows up in ‘Jag Soona Soona Lage’. 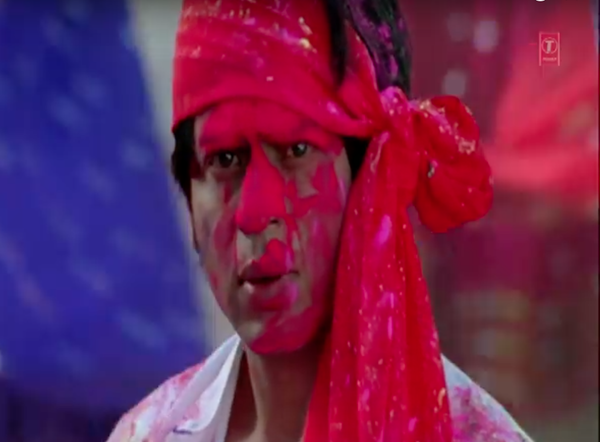 If you remember it is a very poignant moment when Deepika is walking by and Shah Rukh doesn’t want her to recognize him so he covers his face in Holi colours. He smears the colours over his face so she doesn’t recognize him, he is weeping because he has lost her in that moment. Farah said I want that to be the emotion he feels. It is in the middle of the ruckus Holi moment in the song where the rhythm is really lifted, but the theme that is playing is this poignant theme. When I saw it I was like Oh My God. It hit me in the chest. You know, we made it so I should know every component separately, but this really felt like one sort of entity. When you are creating a track, is it music or lyrics first for you, or does it vary? It is different every time. With us, specifically there is no method. Sometimes we will sit at the piano and write a song, sometimes it will be with a guitar, sometimes it will be at a coffee shop, and sometimes it will be as we are driving. It could be a little idea to start with, it could be a melody and we hand it off to the lyricist to add their perspective as well. It could be anything. It is all up in the air. It is all free flow, which is why I think that makes us really good collaborators not just with each other but with other people as well. It must be amazing and hard to have a song, or melody start to run through your head, what is that experience like? It is not hard; it is the most magical thing! It is hard to believe that that is job sometimes. Sometimes the realization hits you really hard that this is my job. This is what I do. This is my work, you know? A random thought that jumped into my head has now become a song that everyone is listening to 10 years later. It is incredible. It is the best job in the world. I am truly grateful. To a point that I literally cannot express the amount of gratitude we feel for 1 the ability to do this, 2 for the opportunity, and 3 for the fact that people actually listen to and love these songs. It is sometimes overwhelming. How does it feel to see your music come alive on screen? It blows you mind! Specifically in cases of songs like ‘Dhoom Taana’. Even though you are told that are they are going to have Jeetendra in the video or we going to have all the other legends that are in the video and we are going to composite the old film footage with Deepika – you never really know what it is going to look like until you see. Then you do see it and it blows your mind because it takes our song to a whole other level. Another interesting fact, we played it with the dummy lyrics and the lyrics you hear in Ajab Si are the lyrics I wrote while we composed the song. When you watch the song in the film, in this particular case you CANNOT tell that this happened. It is like this song was written for that and if feels like that sequence was shot to this song! The emotion of it, the expression on Shah Rukh’s face, on Deepika’s face, the pace of that the sort of slow motion visual and the sheer love in it. Amazingly, it is like they were made for each other and they weren’t. Farah saw it… the moment she heard it she saw it. Exactly like that and that takes a lot. It says a lot about her vision and the ability to kind of identify exactly what every single minute of her film needs. Now, let me tell you a fun story about ‘Deewangi’, when we finished recording I went up to Farah and I said, ‘You know Farah this song is a bit old school. This is 2006-2007 and it sounds like a song from the late 90s early 2000s we probably should try another one’. She looked at me, didn’t bat an eyelid and she said, ‘Listen, you have done your job on this. Now let me do my job. I know what I want and this is exactly what I want.’ I was like okay then… And then when we saw it we were like well… she definitely knows what she is talking about! ‘Deewangi’, believe it or not, after 10 years is still the song that Shekhar and I close every single live performance with. Every single one and we have done I would say over 1200 live performances easily in the last 10 years. We close every show with that song. We have played all over the world and we have never come across a crowd that doesn’t know the song, we have never come across a crowd that didn’t sing the chorus, that didn’t raise their hands and wave them in the air while singing Om Shanti Om. It has never diminished. The energy of that song has never diminished. How did you choose the singers for the songs? How do you work with them in recording studio? I don’t know if everyone has this, but Shekhar and I, we have a very distinct thing, when we create a song we can hear the voice that we need for it. Sometimes there are a couple of options in our minds, but most of the time it is like once the song is there then we are like okay this person is going to sing it. When the singers come in, they are coming out of the blue, they have never heard it before, they have had nothing to do with the process of creating the songs per se but we want them to own the song. We want them to feel like it is their song. So, we give them the melody; we spend time with them singing it to them, as many times as needed, making sure they have got the lyrics almost ingrained in their minds before they sing. It is never just a quick process of come and hear the song and okay get to the mike, that doesn’t happen. We spend a little time with them getting them to really feel the music, the emotion, the story that the song needs to tell. Take them to a place where they are able to communicate that easily. Once a track is done recording and you hear it like for example ‘Dastaan E Om Shanti Om’ and it comes out perfectly, do you ever sit back and are in awe of how cool it sounds? Not really. Our fundamental criteria is to satisfy the film. When I say satisfy the film, I mean above all there is a script that is telling the story so you need to tell that story. The second layer is the director and the sonic vision they have in their minds – so to make sure we are justifying that and justifying the director’s faith in us. The third thing and this is probably crucial is to make sure that everyone in the room, Shekhar, me, Farah, Javed saab, the sound engineer, the peon who is bringing us chai, the drivers, everybody who is around loves the song, because if you want a billion people to love the song the least you can do is have the first 20 people who hear it love it. That is a large part of our process as well. I know they are probably all your favorites but do you have one that is a particular favorite one? Honestly I could not pick one from Om Shanti Om. See the thing is the Om Shanti Om soundtrack is one soundtrack – it is not a collection of songs. It is the story of this film in audio form. So you can’t really separate one from the other. How cool is it that it also is now a musical in Japan? I have to say as soon as the film came out and I saw it for the first time I went up to Farah and I said this film would make the greatest or at least one of the greatest stage musicals that I have ever seen. So we should find a producer in the West End, like one of the leading guys in the West End and let them produce this for the stage. We can redo all the music and we make all of it happen. Then there were various rights issues; rights are a complicated issue in India. I also just think there is a time for everything. I am really glad this made it to the stage and I hope that some point in time it does become a Broadway or West End musical! I would love to see that! To have in play in Japan is an honor. I will take it. And Farah told me that they were in the aisle’s dancing and I think that is really a testament to the joy of the music. Absolutely. I think every emotion is in there. The hope is that every song we do touches someone’s soul, but the truth of the matter is that it is largely reliant on how deeply you, as an audience, connect to the film itself and the story itself. That is where the magic really happens. A Bollywood film song can be great in its own right, but when people watch it within the film, identify it with the characters, and when it locks in completely with the story that is being told to a point where you don’t even feel like it is a song but you feel like it is narrative – when that happens that is what people carry with them. The music is what people carry with them once they are done watching the film. When you are done watching the film in the theater you take the music with you, you listen to the music over the years and it becomes the soundtrack to your life, and then every time you hear a song from this film or every time you come across music from the film you relive the entire film in your mind. If you felt any emotion during the course of watching it – the music is that emotion. It doesn’t remind you of it – it is that emotion. Yes! I read the words Om Shanti Om and the music starts playing in my head and then the film starts playing in my head. Yes, that is the magic of it. You know Stacey, if you tell a story truly, that happens and it is the greatest payoff for a musician. I mean the fact that we are sitting here 10 years later almost to the day that Om Shanti Om released talking about the music and I am feeling like we made it yesterday. In fact, you can ask Farah this, two or three months ago Shekhar and I met her for lunch and we were like you know what we should just do another song for Om Shanti Om now! Just like add it for the film now. Between Shekhar, Farah and me at some point in time we will make this happen! How does it feel that the music is still popular and loved today not only in India, but also all over the world? Like I said we have an overwhelming gratitude. Not just to everyone who is involved in making it of course from the lyricist to the singers, the arrangers and programmers and live musicians, everyone who is involved in it, but above and beyond that to everyone who has taken this music and made it something that is alive! Beyond us, beyond the film, beyond everything, they have made it their own and there is literally millions and millions of people across the world like that. I mean if I could personally hug each and every one of them to thank them I would. Looking back over whole experience of making Om Shanti Om what would you say? 10 years have gone by since Om Shanti Om, and that is hard to believe. Literally, Farah and I were talking about it just yesterday it just feels unreal that it has been 10 years. I promise you this is the truth when Om Shanti Om was done and we delivered the music, Shekhar and I would go and watch the shoot every now and then because we just missed being in that Om Shanti Om space so much. We have nothing to do on the set but we wanted to be there. In fact, this is funny… because I was at the set, Farah just said, ‘You are playing this director, come on’. I am even wearing my own clothes in that scene. If you watch the scene you will see I am wearing a Pentagram t-shirt. That’s a little Easter egg for you. It was coming out on the 9th of November and I remember we watched it around the first of November or perhaps the last day of October in 2007 and then everybody went over to Farah’s house for dinner post the film. It just felt like it was a team. It felt like there was genuine love in the room. The process of making the music was the most effortless. I mean, of course we worked hard, but it never felt like work. Never, not for one minute. Shekhar flew to Prague and recorded the philharmonic for ‘Dastaan E Om Shanti Om’, we did that whole Pyaarebhai session and in all of our songs there were lots of live musician as well. All the mixes we did, it was time consuming – we spent a lot of time going back and forth getting them just right. The mastering, you know, we made sure they were right. However, it just was an act of love. It never once felt like work. Farah never made it feel like that. Shah Rukh never made it feel like that. There was no pressure. There was no stress. It was the most incredible sensation making that whole soundtrack. As I speak to you about this, literally I am reliving all of it! Every moment. From the time in Javed Saab’s house eating the spectacular food while we were working with him on the lyrics. There’s a million stories just in there. Javed saab has the most incredible sense of humor that you would ever come across. Of course he is one of the greatest lyricists that India has ever had. All of it was so much fun I can’t even tell you! That is so amazing that you are still feeling the magic and the love of this movie. All of us feel it, for whatever it is worth, we feel that this film will live for us forever. If you have not seen the film or heard the brilliance of these songs go now and get lost in the magic! Be sure to also check out the fabulous Farah Khan on 10 years of Om Shanti Om! 16 queries in 1.316 seconds.